Before you exit the pitlane, you really should have your track day insurance sorted. Driving your pride and joy around a circuit is fantastic fun but accidents on track can happen. 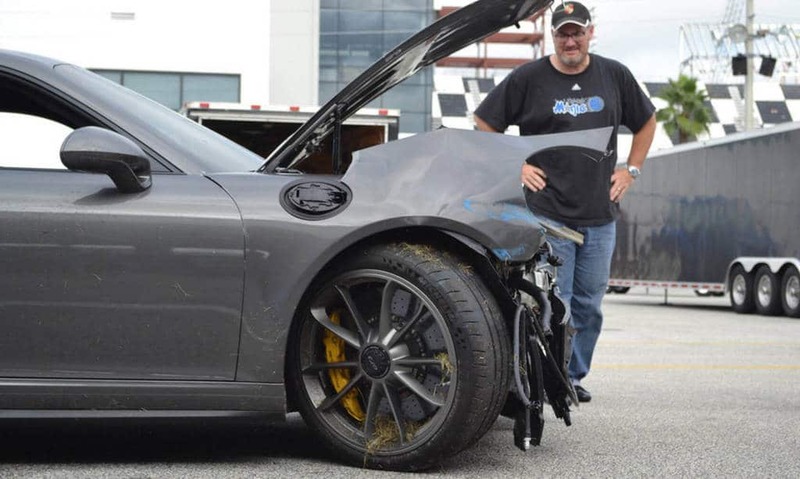 There are several ways you can damage your track day car. Firstly, you can make a mistake and hit a tyre wall or barrier. Secondly, you can make a mistake and connect with another car, and finally, another car can make a mistake and hit you. Whether right or wrong, legally, you are responsible for the cost of repairing your car in all track day incidents even if another driver crashes into you. In our guide to track day and race event insurance, Richard Baxter explains. Track Day / Race Insurance – What Should I Look Out for? I was at Oulton Park on a test day with a few of the other drivers in my team. We were all in our novice year, and as you’ll probably know, Oulton Park isn’t always the friendliest of novice circuits! On the exit of Druid’s, there’s a bump / slight downhill section that can really unload the rear of your car. To get that corner right, you really need the chassis nice and neutral (no steering lock!). If you hit that section still turning the car, you may experience the car oversteer. This exit sends a lot of underprepared drivers off, as this track day driver demonstrates perfectly. My team mate made the same unfortunate mistake. Chatting with him about the damage he said, “it’s OK, I’m insured”. I responded, “oh, they knew your were running today?”. He looked at me with a blank face. 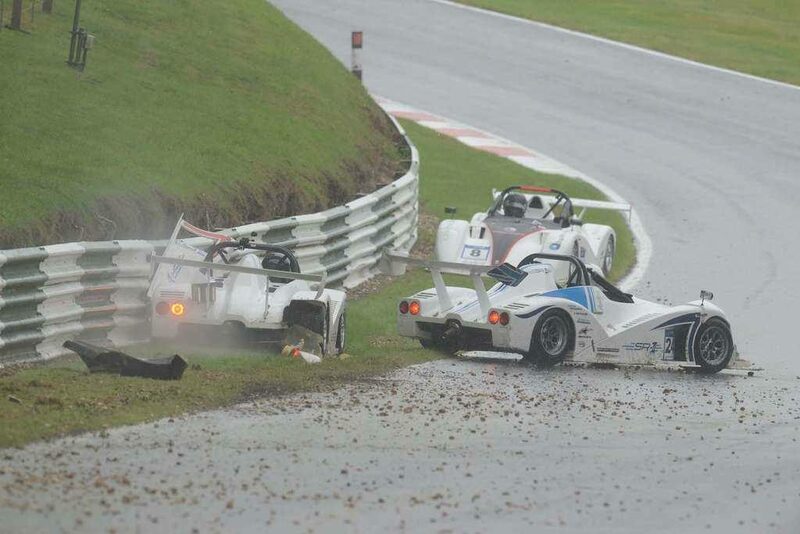 He hadn’t notified the insurer he’d be testing at Oulton Park that day. Uninsured on a near total loss of £20k+ repairs. Whether you’re testing, at a race meeting or just running a car on a track day, you really should insure your car. I’ve read threads on forums of people discussing the relative merits, costs and whether or not it’s worthwhile. Most conclude that it it. Like “the guy that rolled his focus at Donington Park last weekend” to this poor chap who put his Radical into the barriers at Cadwell Park after a wet race start. Compared to actually driving on track, reading policy wording is a boring thing to have to do. Then again, you wouldn’t enter a race weekend without reading the regs, so why wouldn’t you read the one thing protecting you financially if you incur some damage while you’re there? Put simply, it’s something we all have to do and it’s time well spent. In 20 minutes you can be completely clued up on your insurance. Try to build an understanding of what situations are insured and for how much. Perhaps more importantly you should understand the exclusions and conditions of the insurance. Put simply, what isn’t insured and what are your obligations to the insurer to guarantee there’ll be no problems during a claim. 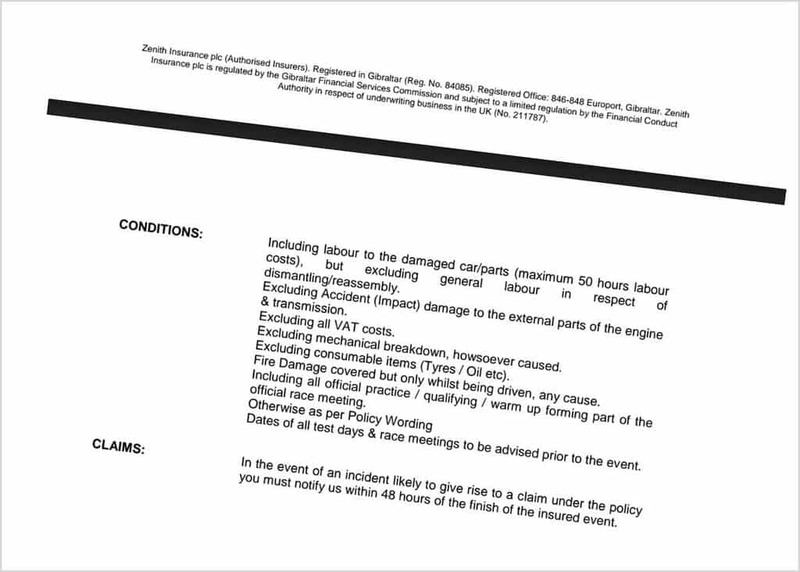 After any accident you must contact the insurer within 24 hours of the end of the event. It’s wise to contact them as soon as you can, which will buy you time to collect all of the supporting evidence you need to make a claim. This includes: photos of the damage (usually 1 picture for every damaged component), confirmation from the Clerk of the Course that the incident occured and a quote for the damage repair. While every effort has been made to present this article as a factually correct insight into track day insurance, we can’t he held responsible for any decisions you make with your own or your car’s insurance. On that note, it’s just better to get an expert to wade in. I’ve insured all of my Radicals with Grove and Dean over the past two years; so I dropped them a line to see if they’d help out. I spoke with Andy Hancock, Director at Grove and Dean Insurance (and a racer himself) for some insight on the real do’s and don’ts when it comes to insuring your track car. – Any damage you cause OR is caused by a Third Party – remember there is no automatic Third Party liability in Motorsport, so you can’t claim off other people’s insurance! – If a claim does proceed then Insurers will require (at least) one photo per damaged part invoiced for example, 15 items on the repair invoice = (min) 15 photos. 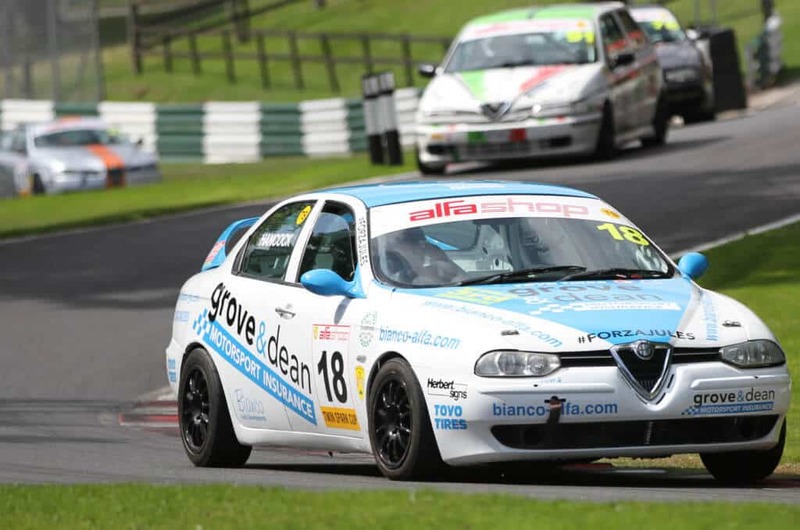 Grove & Dean Motorsport insurance is the choice of champions! From Club Cover to GT3, Track Day Car Insurance to Race / On Track cover. Fast online quotes.